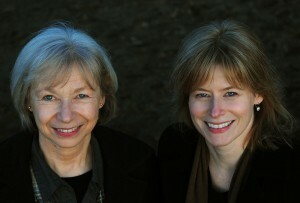 I turned next to a richer sauce, one to pair with grilled pork tenderloin. Pork lends itself well to fruit sauces, so one with blackberries seemed promising. I just winged it — sautéed shallots, blackberries, dash of wine and balsamic vinegar, some chicken stock, and a little butter to give it a velvety richness. Sounds reasonable, right? Well, the flavor was pretty decent with the berry flavor coming through very well. (Blackberries are definitely not shy about flavor.) It was a good complement to the pork. Perhaps not as good a pairing as duck or venison, but unquestionably better than the beurre blanc with salmon. After racking my brain for a few days on how to make a savory blackberry sauce work, despite its intense color, it suddenly dawned on me. Aha! I bet blackberries would make a great relish. 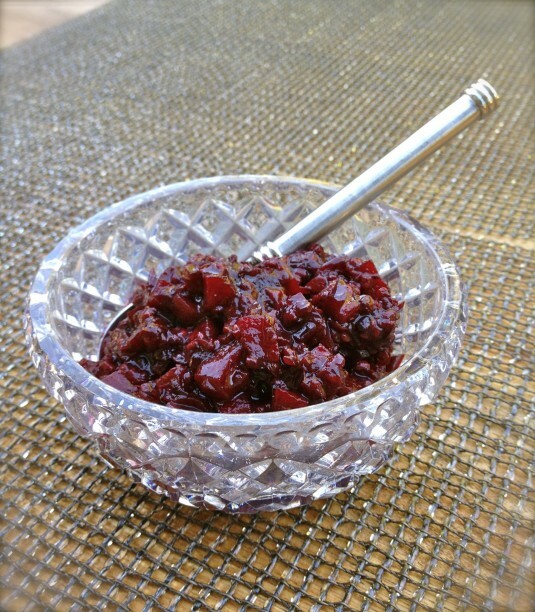 I thought of the cranberry-pear relish recipe from Fields of Greens that I make at Christmas. I also thought of Branston pickle which I enjoy very much, especially with a slice of cheddar cheese. 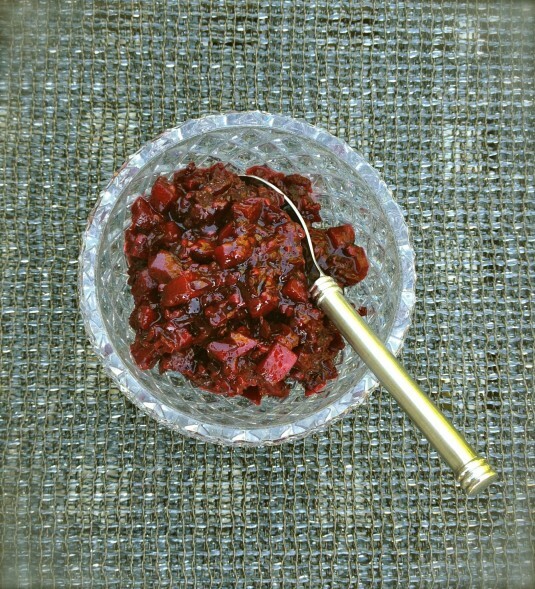 Both the cranberry relish and Branston pickle are sweet and tart, and intensely flavored. And their colors — vibrant red for the cranberry relish, blackish brown for the pickle — hasn’t seemed to keep us from serving them again and again. I grilled up some chicken breasts on the bone. With some salad greens and a few spoonfuls of blackberry apple relish at the side of my plate, it was a delightfully colorful summertime dinner. This time, I was disappointed that I was cooking for one. Luckily the relish keeps well. I’ll be sharing it with Bob very soon. Inspired by a gorgeous photo from The 10 Cent Designer, and a cranberry-pear relish recipe from Fields of Greens that I make when we do roast turkey. There's a pleasant heat from the ginger and jalapeño, and the lime adds a little zing to offset the sweet blackberries. This was delicious with roasted chicken breast. It would go fabulously well with cheddar cheese and bread as part of a ploughman's lunch, instead of Branston pickle. Place the blackberries, sugar, red onion, ginger, jalapeño and vinegar in s small saucepan over medium heat. Bring to a boil, then reduce the heat to medium-low and cook for 3-4 minutes, stirring occasionally. Add the apple and cook for 1-2 more minutes, just until the apple is slightly soft. Remove from heat and stir in the lime zest and juice. Season with salt and pepper. Let cool before serving.